With a bachelor's degree in business administration, you'll gain workplace-relevant management skills, organizational theory, and operational knowledge. The career-focused Bachelor of Science in business administration at University of Maryland University College is designed to help you compete for the jobs of today and tomorrow by building a comprehensive base of knowledge. This major will help you prepare for a variety of positions, and you'll have ample networking opportunities with other students. 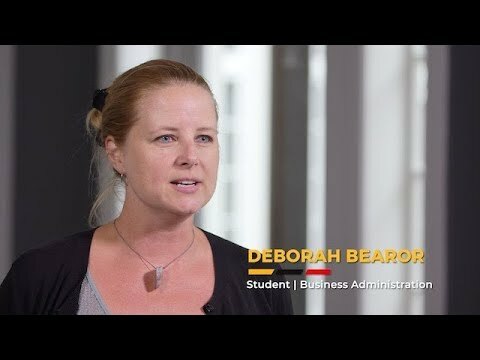 In your business administration courses, you'll study accounting, business law, ethics and social responsibility, finance, human resource management, strategic management, organizational behavior, marketing and sales, and statistical analysis. The bachelor's degree in business administration requires 46 credits of minor and/or elective coursework. This program is designed to help you prepare for work in management and operations for nonprofit, for-profit, and public-sector organizations. Community college transfer student, Marlene Plumley, took full advantage of UMUC's articulation agreement with Anne Arundel Community College. The competitive edge that Marlene gained from her UMUC education led her to launch a successful dive business. UMUC has a great business program and is well respected. My classes were very meaningful to me, and I got ahead in my career because I learned my lessons well. I can truthfully say that everything I do—even the teaching—incorporates the knowledge I have gained and built upon over all these years, beginning with the bachelor's degree I worked so hard for at UMUC. Jason Read was pleased that his courses in Business Management were relevant and immediately useful. His UMUC degree even facilitated three promotions while he was in school. 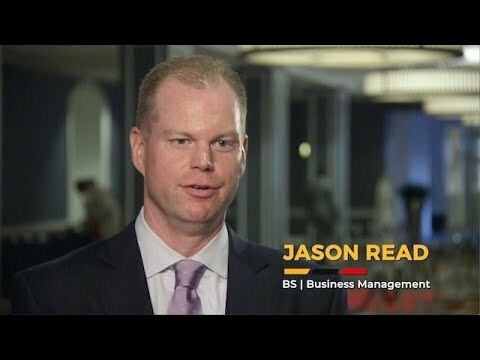 As a regional manager, Jason's degree allows him to take care of his family and excel in his career. [My professors] were professional. They brought a ton of experience and real-life examples…. It almost felt as if they were the same as us…. They were working professionals continuing to strive in their industries. 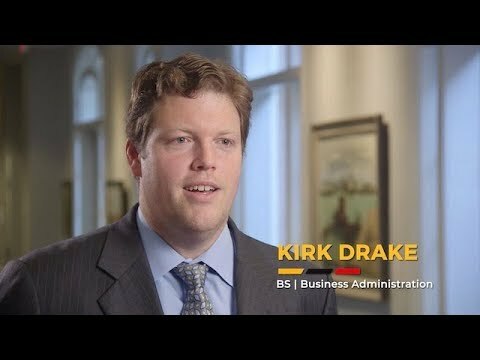 Kirk Drake's business writing professor taught him to be more focused in his written communications. He discovered that what he learned at UMUC can be applied to every aspect of his business career. I really enjoyed the writing course I took in my undergrad business administration program. It actually made me a much better writer, and the course itself was a lot of fun. With 26 years of managerial experience, Johnnie Brown conducts research and teaches courses in management, leadership, and human resources. He earned a PhD from Morgan State University, a Master of Public Administration from the University of Baltimore, and a Bachelor of Science from Morgan State University. (Access to spreadsheet, word processing, and presentation software required. Intended as a final, capstone course to be taken in a student's last 15 credits.) Prerequisites: BMGT 364, BMGT 365, FINC 330 (or BMGT 340), and MRKT 310. A study of strategic management that focuses on integrating management, marketing, finance/accounting, production/operations, services, research and development, and information systems functions to achieve organizational success. The aim is to apply integrative analysis, practical application, and critical thinking to the conceptual foundation gained through previous study and personal experience. Emphasis is on developing an organizational vision and mission, developing and implementing strategic plans, and evaluating outcomes. Students may receive credit for only one of the following courses: BMGT 495, HMGT 430, MGMT 495, or TMGT 380.